Michael enjoys the sense of accomplishment he gets helping others simplify their financial lives while assisting them in reaching their goals. To achieve that, Michael seeks to build lasting relationships based on trust and knowledge. Michael believes it is possible to help clients achieve their financial objectives using planning techniques and tools that have been honed over two decades of managing money through tough economic conditions. By understanding the client's objectives and risk tolerance, Michael works to provide his clients with a plan of action designed to meet their goals while minimizing their risk exposure. 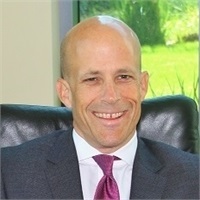 Michael worked as a cost account planner at Northrop Corp. while working on his bachelor’s degree from Pepperdine University, where he graduated in 1988. During his 10 years with American Express Financial Advisors, Michael managed his own practice and served as vice president of Advisor Integration for Southern California, with responsibility for the training and development of hundreds of advisors throughout the area. In 1999, Michael co-founded EHG Financial Planning Services with Dean Evans. Michael holds his series 7, 63 and 65 securities licenses. He is a registered representative with Securities America Inc. and an Investment Advisor Representative with Cooper Financial Group. A member of the Financial Planning Association, Michael specializes in pre- and post-retirement planning, wealth management and distribution of retirement assets. Active in his church, Michael has been married to wife Carol since 1986. They have a son, Evan, and a daughter, Emily. In his free time, Michael enjoys traveling, music and cooking.